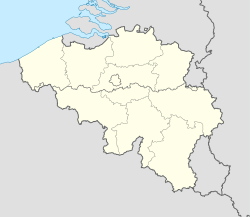 Peer is a municipality located in the province of Limburg, Flemish Region, Belgium. On January 1, 2006, Peer had a total population of 15,810. The total area is 86.95 km² which gives a population density of 182 inhabitants per km². The municipality consists of the following sub-municipalities: Peer, Grote-Brogel, Kleine-Brogel, Wauberg, Erpekom and Wijchmaal. Peer is the site of a famous annual blues music festival held in July. Peer is the birth place of the composer Armand Preud'homme. From 1990 to 2018 the Armand Preud'homme Museum remembered to his life and work. The village Grote Brogel, part of Peer, claims to be the birthplace of Pieter Bruegel. The Bruegel Foundation was also founded in Peer to research the history of Peer and Pieter Bruegel. Kleine Brogel, a village that is a part of Peer, includes Kleine Brogel Air Base. Rumours that American nuclear weapons under the NATO nuclear sharing program were stationed at Kleine Brogel have never been officially confirmed, but are now known to be true. A cable from the American Embassy in Brussels from November 2009, published by WikiLeaks, not only confirms their existence, but also informs that the Belgian government rejected a proposal from Germany to propose to the rest of NATO that the nuclear weapons be removed from both countries (as well as those stationed in the Netherlands and Italy). Peer has in the summer quite a nice temperature, around 20 degrees Celsius. In the winter it normally snows. ^ "Bruegelkring - Bruegel Foundation". ^ "Kleine Brogel dossier". Mother Earth. ^ "09BRUSSELS1580, SCENESETTER FOR BILATERAL MEETINGS WITH BELGIAN". WikiLeaks. 2009-11-24. ^ "World Weather Information Service – Peer". United Nations. Retrieved 19 January 2011.